Midfielder Corazone Aquino has been ruled out of the upcoming CECAFA Women’s Challenge Cup in Kigali, Rwanda as she is due to travel to Sweden for trials. The towering midfielder has been a pillar of both the Under-20 and senior women’s team and her prowess has attracted the attention of an unnamed Swedish top tier side. Nonetheless, Ouma has named a strong squad that will look to win a maiden CECAFA title after losing the final to Tanzania in 2016. The squad includes several new faces including Vihiga Queens defenders Vivian Naseka and Phelistas Kadari as well as Eldoret Falcons Ruth Ingosi, Gaspo Youth’s Elizabeth Wambui and Trans Nzoia Falcons’ Martha Amunyolete. The team is scheduled to report to camp on Saturday, 12 days before the tournament kicks off in Kigali Rwanda. 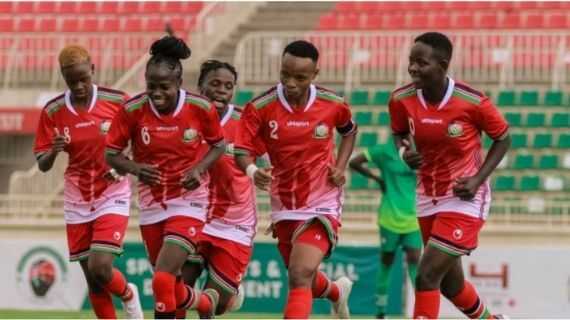 The CECAFA Women’s Championship had initially been set for last month but was postponed due to lack of funds. Only five teams will take place in the tournament which will be played in a round robin format. Starlets kick off their campaign against Uganda on the first day of competition on July 19. Other teams in the competition include defending champions Tanzania, hosts Rwanda and Ethiopia. Neddy Atieno (Makolanders), Terry Engesha (Vihiga Queens), Phoebe Owiti (Vihiga Queens), Martha Amunyolete (Trans-Nzoia Falcons), Maureen Kakhasa (Trans-Nzoia Falcons), Elizabeth Wambui (Gaspo Ladies), Monica Paul (Trans-Nzoia Falcons).